Basic Obedience (Age 4 months and up) Enroll now! 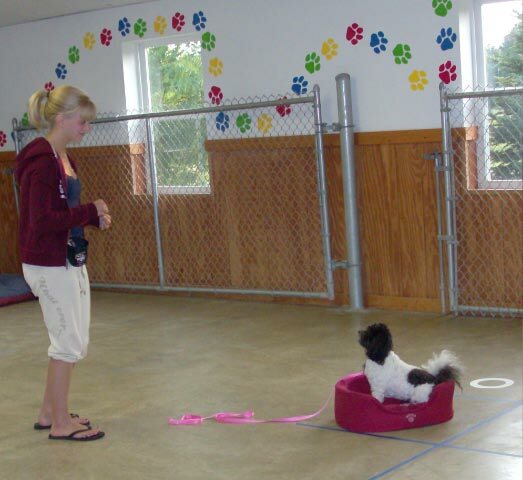 In this class you will learn how to train your dog in basic obedience commands. These commands include: sit, down, stay, come when called, place (boundary command), leave it, and walking on a LOOSE leash. Other topics are included such as housebreaking, socialization, biting/chewing, jumping up, and the benefits of exercise. You will also discover how dogs learn, as well as the different types of training equipment that are available. Advanced Obedience (Age 6 months and up; must attend Basic Obedience first) Enroll now! After your dog has graduated from Basic Obedience, he is ready to start advanced training. This course is geared toward enhancing the basic commands your dog already knows, while learning off-leash recall and heeling, down (at a distance), and finishing. Canine Good Citizen / Therapy Dog Prep (Age 6 months & up; must attend basic obedience first) Enroll now! 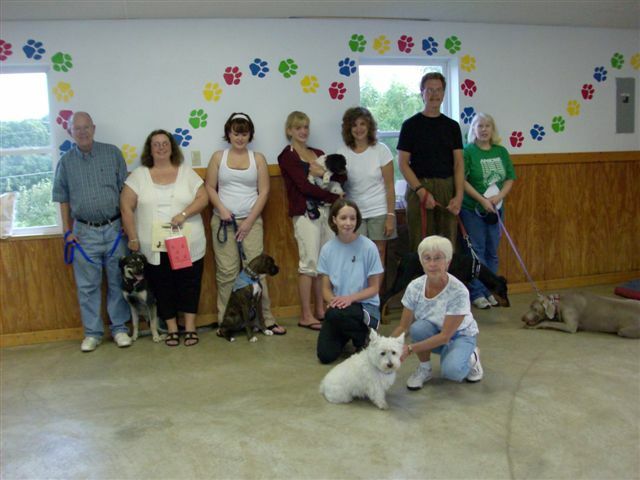 This course prepares your dog to pass the AKC Canine Good Citizen and Therapy Dog evaluations where your dog can obtain his CGC certificate and therapy license. Available through private lessons only. Clicker (Trick Training) (Age 6 months and up) Enroll now! 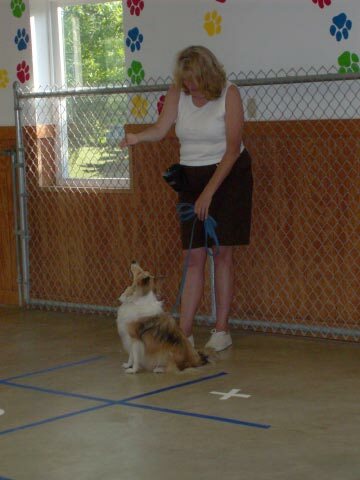 Clicker training is a very positive way to train your dog. This class instructs you to use a clicker to teach your dog tricks such as sitting pretty, spinning, rolling over, etc. Agility (Age one year and up) Enroll now! Agility is the most popular dog sport in America. Dogs leap over jumps, fly through tunnels, and climp over A-frames and teeters. This sport is great exercise for you and your canine friend! You can work your way up through Agility I, II, and III. My group classes are designed to be enjoyable, as well as educational. I incorporate positive training methods and games to make it fun for you and your dog.